Orlando is your Innovation Destination! Video provided by Visit Orlando. 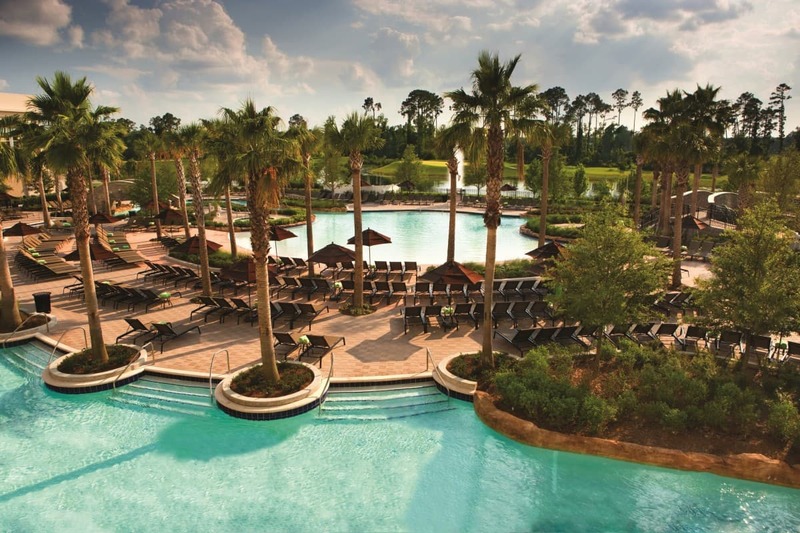 Surrounded by Walt Disney World Resort® and nestled on a 482-acre nature preserve, Hilton Orlando Bonnet Creek is the top rated Hilton Resort in Orlando on TripAdvisor, and features family-friendly amenities and continuous transportation to the Disney Theme Parks. Now an Official Walt Disney World® Hotel, guests staying at Hilton Orlando Bonnet Creek enjoy more time for family fun with Disney’s Extra Magic Hours benefit. (Valid Theme Park Ticket required). The Hilton Orlando Bonnet Creek is connected to the Waldorf Astoria Orlando. As a guest of the Hilton Orlando Bonnet Creek you have full access to the Waldorf Astoria’s restaurants and activities. 20% discount on greens fees and rental rates. Hilton Orlando Bonnet Creek has become an instigator of innovation for a distinctive resort dining experience. Poised to captivate even the most fickle taste buds, our resort boasts spectacular dining outlets and bars, each with its own vibrant personality, inviting décor and distinctive menu. No matter what type of cuisine you seek, there is a dining style perfectly suited to it, coupled with impeccable service and laid back ambiance. La Luce® is Hilton Orlando Bonnet Creek’s signature restaurant, inspired by famed Napa Valley chef and restaurateur Donna Scala. This modern Italian country kitchen serves dinner nightly, featuring thin crust pizzas, homemade family-style pastas, and Italian dishes inspired by traditional family recipes handed down through the generations. The cuisine is complimented by Mediterranean-inspired cocktails and a Trattoria-style wine program. Golf – Amidst the Bonnet Creek nature preserve is Golf magazine’s prestigious “Top Courses You Can Play” – The Waldorf Astoria Golf Club. Pool – Close your eyes and imagine yourself drifting down our lazy river amid a lush and subtropical environment. Envision yourself lounging by our zero-entry, lagoon-style pool as the children splash in the Florida sunshine. This picturesque setting is the heart and soul of Hilton Orlando Bonnet Creek. Our Orlando family resort pool area, named #1 by TripAdvisor’s Top 10 Fantastic Pools, offers the perfect escape during your next Orlando vacation. Spa – The Waldorf Astoria Spa is conveniently located adjacent to the Hilton Orlando Bonnet Creek. As a guest of Hilton Orlando Bonnet Creek, all of the Spa’s services and treatments are available to you.At Waldorf Astoria Spa, luxurious therapies, soothing environments and our unique client-centric approach to well-being all unify to create an elevated state of rejuvenation and renewal. Our new menu of services includes locally sourced ingredients such as our signature ingredient, honey, which is infused into our unique skin treatments, products, and personalized therapies.